Seidokan is a dojo (training hall or training center) focused on the personal development of self-defense skills, self-discipline, self-confidence, and physical and mental fitness through the practice of a traditional style of karate known as Goju Ryu. Goju Ryu is based on ancient Asian martial arts principles and was formalized as a distinct style of karate by Chojun Miyagi on the island of Okinawa in the early part of the twentieth century. It was later exported to Japan and still later to the rest of the world. It is still practiced world-wide. The Seidokan dojo in Morgantown was founded by Dr. C.P. Negri in 1990. 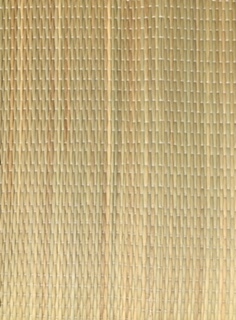 Seidokan was named after its parent dojo of the same name in Saitama, Japan. 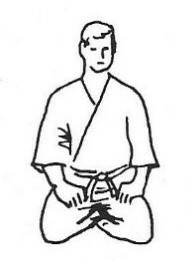 Negri Sensei (Japanese for teacher) was trained in Goju Ryu by Katsuya Izumikawa of the Senbukan dojo in Kawasaki City, Japan and by Tadanori Nobetsu in Saitama, Japan. Prior to his Goju Ryu training Negri Sensei was trained in Shotokan Ryu by Tsutomu Ohshima, and Sadaharu Honda. Negri Sensei is the head instructor at Seidokan and has been practicing karate for more than 50 years. All classes at Seidokan are taught by senior instructors and all instructors have dan (black belt) rank. Collectively, the instructors at Seidokan have more than 100 years of experience in the practice of karate. One important characteristic of classes at Seidokan is their non-competitive nature. That means several things. Instructors focus training on the abilities of each individual student and instructors evaluate each student’s development based on their individual progress, and never by comparing them to other students. Second, students at Seidokan are taught that, in any partner training exercises, their role is to practice a technique and to help their partner learn that technique, and never to defeat their partner’s efforts to learn that technique. And instruction at Seidokan does not include training for tournament sparring. There are several reasons for this, but in short, tournament sparring training is not part of the Seidokan curriculum.